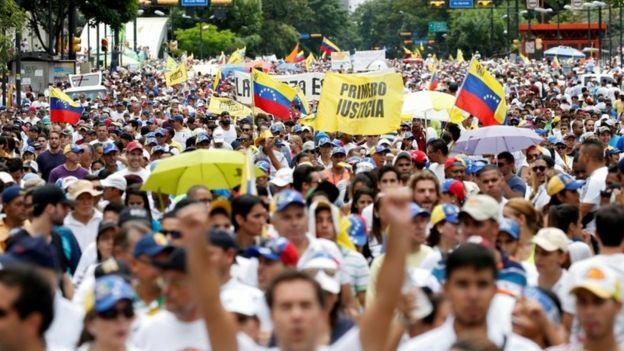 Venezuela: Hundreds of Thousands March – Coercion Code – "Dark Times are upon us"
Hundreds of thousands of people have marched through the Venezuelan capital, Caracas, in rival demonstrations. Opposition supporters, staging their largest rally for two years, called for President Nicolas Maduro’s removal. 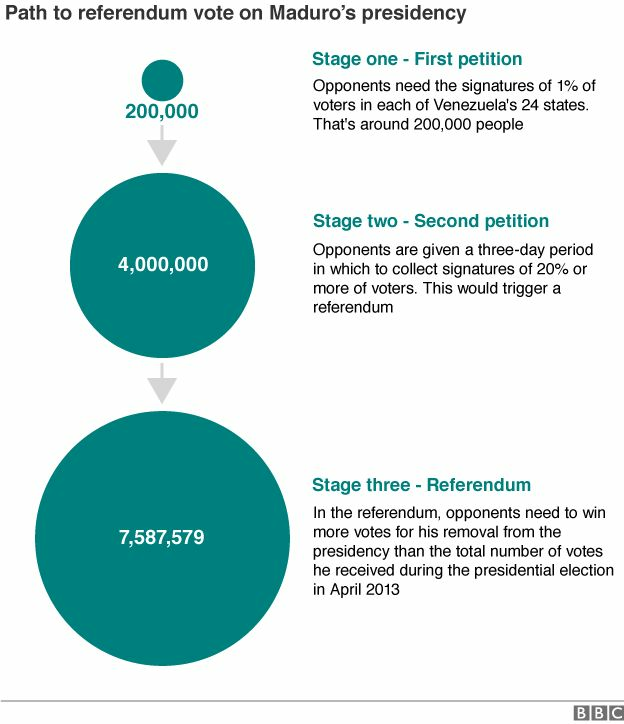 They blame him for Venezuela’s economic crisis and accuse the electoral commission of delaying a referendum that could shorten his stay in power. Mr Maduro, whose supporters also rallied in huge numbers, accused the opposition of trying to stage a coup. 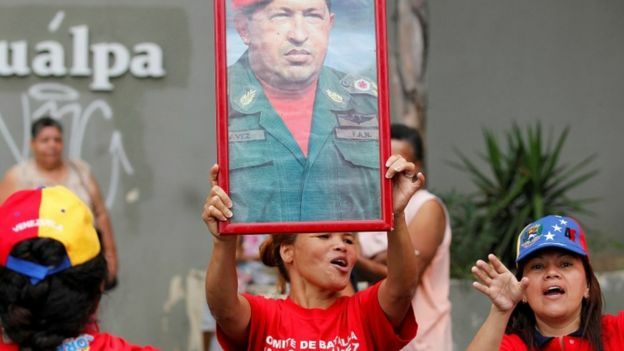 Why have Chavez strongholds turned? “The nation has triumphed. 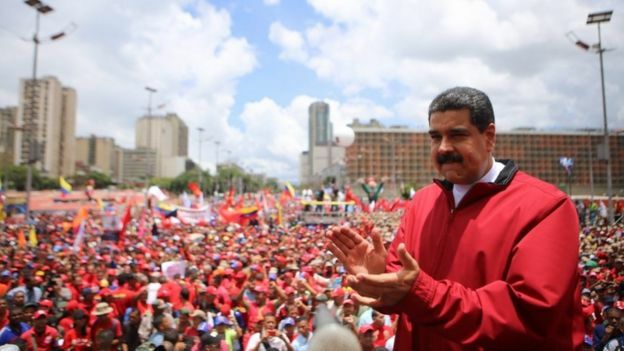 They wanted to intimidate the people but the people are here,” said Mr Maduro at a rally in central Caracas. “We have defeated an attempted coup that tried to fill Venezuela and Caracas with violence, death,” he said. But opposition leaders said their protest had gathered at least their anticipated one million people. “We have shown to the world the importance of Venezuela and how much it wants change,” said opposition politician Jesus Torrealba. Dressed predominantly in white, they chanted “we are going to bring down Maduro”. “We are going to defeat hunger, crime, inflation and corruption. They’ve done nothing in 17 years. 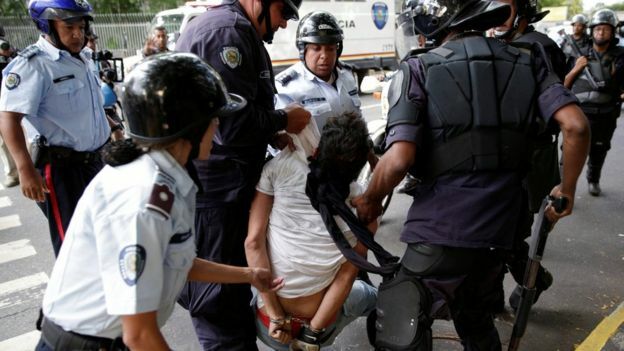 Their time is finished,” Naty Gutierrez told Reuters news agency. Last week, Daniel Ceballos of the opposition Popular Will party was returned to prison after having spent a year under house arrest awaiting trial on charges of rebellion. 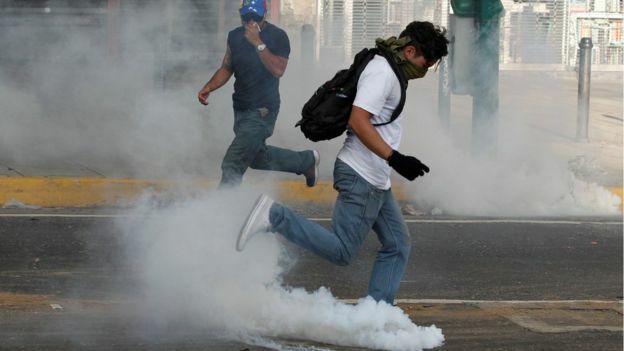 The Interior Ministry said he was planning on escaping from house arrest to carry out acts of violence during Thursday’s rally. Mr Ceballos was one of the politicians arrested in 2014 over violent anti-government protests that swept through Venezuela at the time. Forty-three people on both sides of the political divide where killed during those protests. Popular Will party activists Carlos Melo and Yon Goicoechea have also been arrested over the past few days, the first suspected of carrying a “detonator cord” and the latter of carrying explosives. The opposition hopes the march will pressure the electoral authorities into allowing them to launch the second petition needed to trigger the recall referendum as soon as possible. Timing is key as the date when the referendum is held will determine what happens next. If a referendum should go against the president before 10 January, new elections will be held, which the opposition hopes to win. But if it is held after that date and Mr Maduro is recalled, his loyal vice-president will serve out the end of his term until 2019.